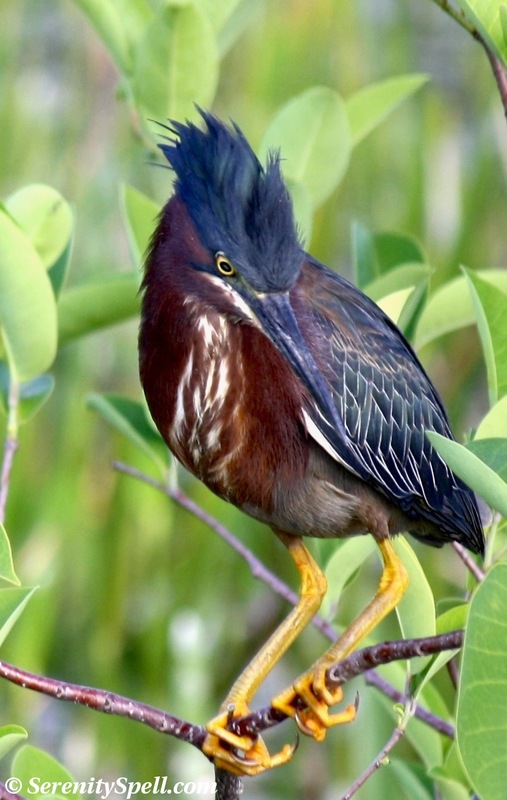 It’s always great to see some of the shyer residents of our wetlands, and the Green Heron is one such critter. 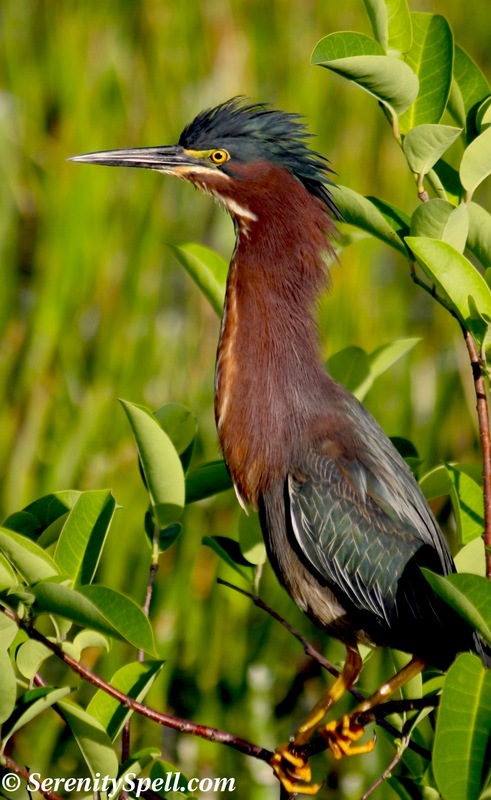 Small and stocky, they’re similar to other herons in that they remain motionless as they hunt for their meals in swampy and coastal areas. 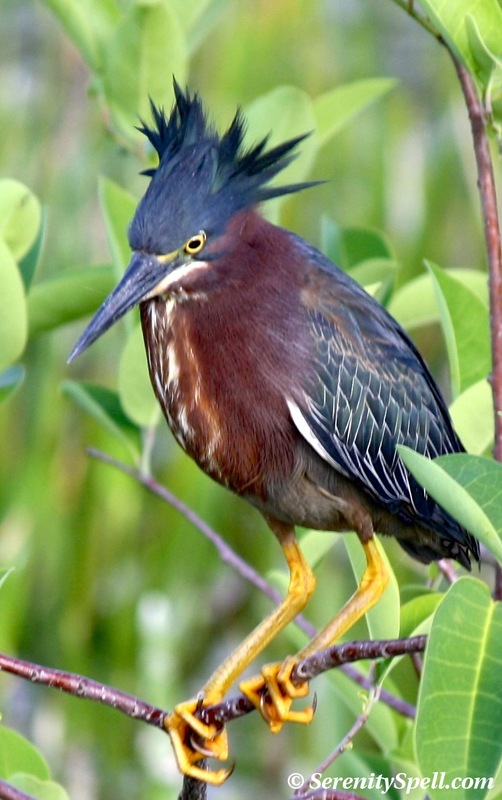 Interestingly, the Green Heron is one of the few tool-using birds: it will drop various baits and lures — in the form of bread crusts, insects, twigs, or feathers — onto the water’s surface to attract small fish. This male adult green heron was most likely guarding his chosen nesting site (nesting and baby season is in full swing), in the hopes of attracting a mate with his brilliant displays. Although they’re not the best shots — he was really hiding in the dense marsh, and not overly fond of the little attention he was receiving — I couldn’t resist including them; his magnificent ‘do makes me smile.